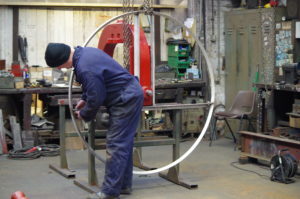 On Wednesday 9th January, as part of the contract to re-furbish Shipton Bells, a party of 13 people, consisting of 9 from Milton/Shipton and 4 from Charlbury, 5 of whom were bell ringers, visited the Bell Foundry and Works of John Taylor & Co in Loughborough. 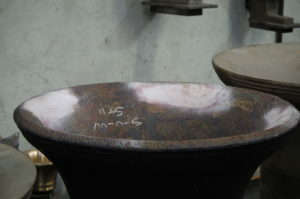 After taking lunch in hostelries local to the foundry we all met up in the Bell foundry Museum where after being greeted by the museum staff we were shown a video of the bell casting process, as no bells were being cast on the day of our visit. 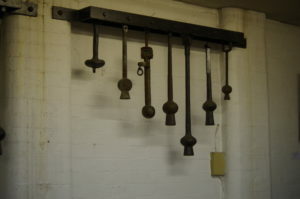 This was followed by a talk on the history of the Taylor family and their involvement in the casting of bells. 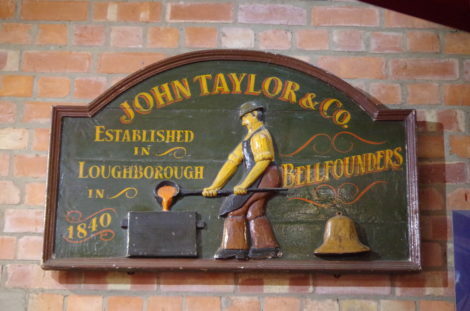 Interestingly Taylor’s first works was set up in Oxford in 1821 before moving to Loughborough in 1838. 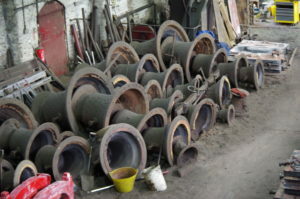 The present purpose built works and foundry date from 1859 and is the only dedicated bell foundry left in the UK. 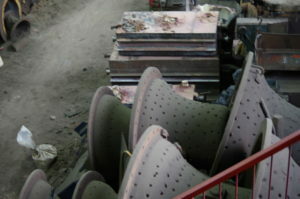 Taylors supply bells worldwide and we were shown bells awaiting dispatch to USA and one bell for Sri Lanka to be installed in a temple. 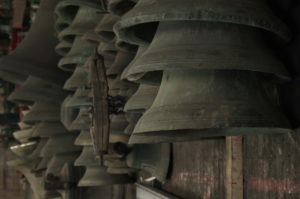 There were several sets of bells in the works both new and older bells in various stages of restoration, including Shipton bells which we saw being worked on in the tuning shop using machinery which dated back to the beginning of the 20th century. 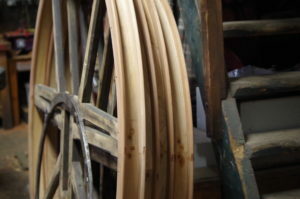 We were also shown the carpentry shop which makes all the wooden parts of bell installations including the wheels and pulley blocks. 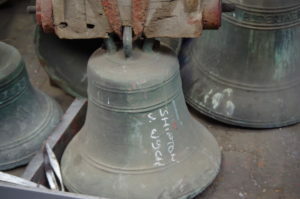 On rare occasions complete wooden bell frames are manufactured though most bell frames are of either steel as in the case of Shipton of cast iron, the castings for which are also produced at the foundry. 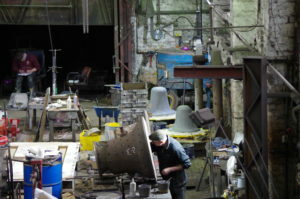 Our tour concluded on the viewing gallery of the actual foundry were, preparations were under way for casting some bells on the following day. A welcome cup of tea with biscuits awaited us in the museum were we were able to view the various exhibits relating to bells, there casting, ringing and history. 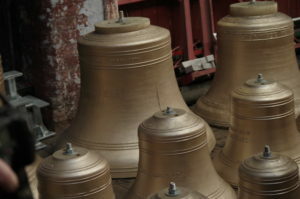 Everybody on the tour, both bell ringers and non ringers, found it most interesting and enjoyable.